Payments for subscriptions taken online are now being accepted through PayPal. When you click the “Buy Now” button that corresponds to the type of subscription you want, you will be taken to PayPal’s payment site to complete the transaction. You do not need a PayPal account to use this service; most major credit cards are accepted. Important: All print subscriptions must include the complete mailing address so that the physical magazines can be mailed to you. 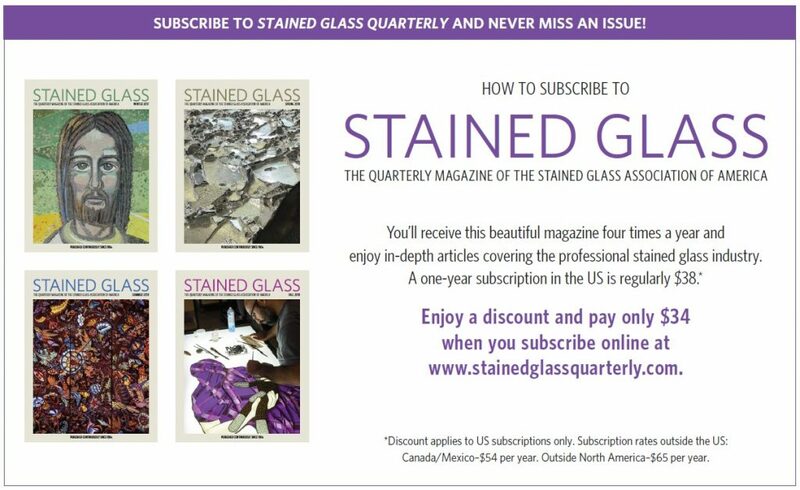 Subscriptions begin with the current issue; if you already have the current issue and would like your subscription to begin with the next issue, please make a note of that in the “Additional Instructions” section of the order form. Subscriptions outside the United States are sent by IPA Airmail. Please note: if you are purchasing for someone else, you can add their name and address in PayPal’s “Shipping Address” section. 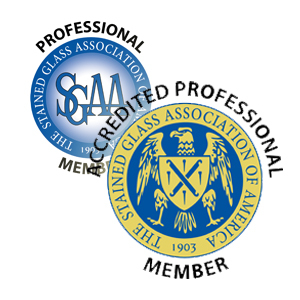 Any other messages such as a gift message to the SGAA Headquarters can be added to the “Add Special Instructions to the Seller” section. Save yourself time and money and sign-up for auto-renew. 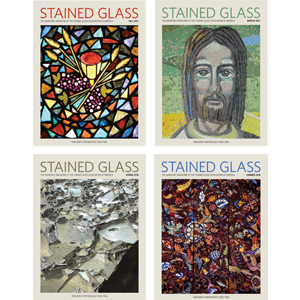 Receive the last four and the next four issues of The Stained Glass Quarterly for only $65 (in the US). You will receive eight issues of the magazine: the last four issues that were published and the next four issues of the magazine to be published. You get eight magazines for only $65! You save $15 off the cover price! 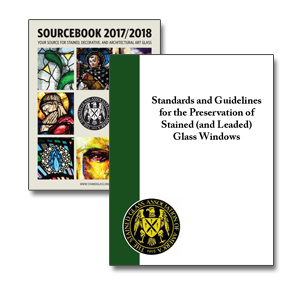 What a great idea: give the gift of Stained Glass to friends and family easily - List the name and shipping address where it says "Add special instructions to the seller" during checkout and we'll mark the subscription properly. Do the same if your billing address is different than your shipping address - just let us know in the "special instructions" section and we'll take care of it.